While visiting a home in the Harmon area the owners proudly pointed out the Croton Point bricks used in the floor of what had originally been a large covered porch. Well-worn from more than a century of use, many are stamped with the initials of William A. Underhill, who used the clay deposits to make bricks on the north end of Croton Point while his brother, Richard T. Underhill developed his famous vineyards on the southern end. 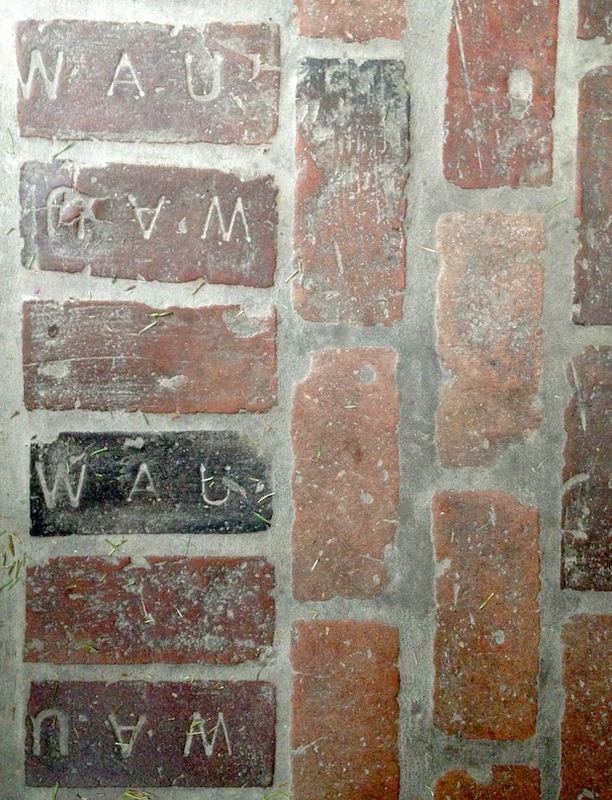 The house also features other Underhill bricks, stamped with the letters IXL (a clever bit of self-promotion meaning “I excel . . . at brickmaking”), and stonework by masons who worked on the New Croton Dam. For additional information about the Underhill brickyard, see this article written by Robert Underhill’s great-great-great-great-granddaughter. Previous Post Harmon Hats—Everybody Needs ’Em!